This section of our How to Start a Cleaning Business Guide is for those ready to hire cleaning staff. While we know your most burning questions are probably around where to find cleaners, how much to pay, and what to ask in an interview, etc. we think it’s reeeaally important to first understand some of the challenges you will likely face when bringing on cleaning staff. Take the time to read over the “Understanding Cleaner Turnover” and you will set yourself up for success when growing your team. If you’re new to the janitorial industry, you may not know that employee retention is a common and costly challenge faced by most cleaning company owners. The nature of the job — physical labor done largely alone, in the middle of the night, and for a relatively low wages — is a large part of the problem, but it’s not the only cause of cleaner turnover. Because there are also factors (ones that you’ll have more control over,) that impact retention, it’s important to put the right systems and processes in place from the beginning to prevent high turnover rates. In other words, from the time you hire your FIRST cleaner, you should be thinking about how you will make their experience working with your company a great one. Anonymity: People cannot be fulfilled in their work if they are not known. All human beings need to be understood and appreciated for their unique qualities by someone in a position of authority. Irrelevance: Everyone needs to know that their job matters, to someone. Anyone. Without seeing a connection between the work and the satisfaction of another person or group of people, an employee simply will not find lasting fulfillment. Immeasurement: Employees need to be able to gauge their progress and level of contribution for themselves. They cannot be fulfilled in their work if their success depends on the opinions or whims of another person. The unfortunate truth is that the nature of janitorial work makes these signs really common. Cleaners feel anonymous because they work alone, and in many companies don’t know their managers or supervisors. They feel irrelevant because they don’t understand how their work impacts the daily lives of those who use the space they clean. And finally, they are unable to measure their own success because expectations have not been clearly communicate to them. To help you avoid creating a work environment where anonymity, irrelevance and immeasurement affect the happiness and loyalty of your cleaners, we recommend checking out some of our retention resources listed below. To start, you’ll need to research what the minimum wage is in your state. Many cleaning companies simply pay their cleaners that minimum wage. However, you may be wondering if there is any benefit to offering higher wages. Will it result in better, longer-term employees? Generally speaking there are two different schools of thought around wages for cleaning staff. The first is that by offering wages that are a little higher than your competitors you’ll be more likely to keep cleaners. This is will save you time and money in the long run, because, as we discussed above, hiring and retaining employees is one of the biggest challenges owners/operators face in the janitorial industry. The second is that it doesn’t matter how much you pay, whether it’s minimum wage or $2-$3/hr above minimum wage, you’ll always see a high level of turnover amongst cleaners. In other words, more money, at least when you’re talking about a few dollars an hour, doesn’t motivate people to work harder or stay at their jobs. With this in mind, we feel that focusing on employee recognition (in other words, offering support, feedback and praise regularly,) is more effective than paying higher wages. If you’d like to also offer above average wages in addition to recognizing and supporting your employees, that’s great! But be warned, if you plan to pay your cleaners minimum wage and don’t invest in an employee recognition program, you will likely lose cleaners to other cleaning companies, or have them disappear entirely. This will leave you in a constant cycle of wasting time and money on hiring cleaners. No fun! A critically important aspect of finding great cleaners is to make sure it’s a good fit for both you and them. For a position to be a good match, it has to be more than just a job to the employee. We found that our best performing cleaners were getting way more out of their job with us than just a pay check. Sometimes it was how much they liked working with specific clients. Other times it was the time of day the position allowed them to work. Some were motivated by the fact that the job let them earn extra income for their family while others were putting themselves through school. When describing the position you have, don’t just post the obvious. There are a lot of great people out there looking for work that might not have considered cleaning, but would be a perfect fit for your team. By describing in detail the type of person who would do well at your company you might just attract someone who wouldn’t otherwise have applied to be a cleaner. Why is your company any different from all the other cleaning companies? Is there flexibility in when they can work? How far away is this job from where they live now? How many hours do / can they work? Do you offer any type of health coverage? Will any training be provided? Will they be a contractor or employee? It’s important to use this job posting as an opportunity to specifically tell applicants what will be expected of them. Questions to answer in this section are..
What equipment do they need to know how to use? What duties are expected of them? Will then need to work in a team or by themselves? Believe it or not, this is the best place for you to make sure the wrong people do not apply to your position. What will the applicant need to be successful? Be clear what an applicant will need before they will be considered. Do they need to pass a criminal background check? Do they need their own car or can they use public transportation? Do they need cleaning experience? Will they need a cell phone? Do they need to speak english? Do they need to be able to read english? Will they need to be able to lift heavy things or operate any equipment? Check out this example job post to get started. One of the most common questions we hear around hiring cleaners is where to find reliable applicants. Many owners would say Craigslist and Indeed are your best bet, while others swear by asking friends and family for referrals. We don’t believe any one place results in better cleaners, but we have learned that the most efficient way to find a great cleaner is to find a position they would be great for. In other words, no matter where or how you promote the job, you’ll need to have a method for matching applicants with the right positions to increase the likelihood that they will be successful at your company. 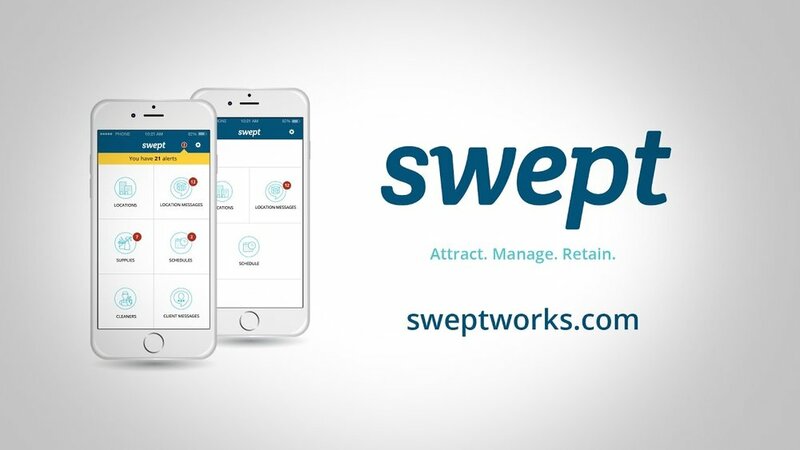 We became so confident in this approach that we built a free tool that matches cleaners with positions to make your hiring process more effective. It’s called CleaningJobs.co and we hope it helps your company as much as it did ours. Cleaning Jobs saves you time by sorting cleaner applications for you, based on who is the best match for your position. Not only does it rank cleaners based on how they scored for a particular job, but it stores their application you will always have a database to hire from, saving you time and money every time you need to hire. Use Cleaning Jobs to rank the applications you’ve received based on who is the best match for the position, then begin calling that list to book phone interviews. We recommend starting with phone interviews, and only inviting your top candidates to meet you for in-person interviews. Below you’ll find links to a phone interview script and an in-person interview script to help you get started. By communicating to them that you want to help them achieve their personal and career goals, and describing any opportunities there are for movement within your company you will increase the likelihood that they will be with you for a long time. To save time and money on training, we recommend doing as much of your training as possible in the form of weekly group training sessions. By designating a specific time and day each week for training new hires you’ll manage your time more effectively and budget for the time spent training. If a prospective hire is unable to make the training session they have the opportunity to do so the following week in order to be hired. This worked really well for us when we were a cleaning company and we believe it will save you time and money too. Much of the content in the “Hiring” section of this page has been taking from our Complete Hiring Guide for your Janitorial Business.If you’d like to get all of these resources in one printable PDF, download our Hiring Guide here. If you’re at the stage where you have some cleaners and need to hire more, this blog post about creating an employee referral program can help save you time and money.